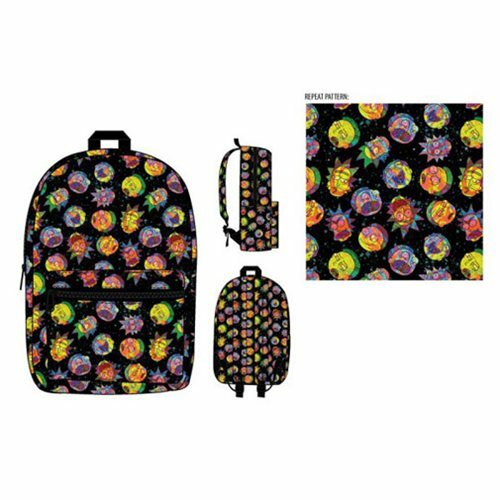 Measuring about 17-inches tall x 12-inches wide x 5-inches deep, this sublimated polyester Rick and Morty Cosmic Backpack is pretty amazing. In addition to all the bright colors, it features zipper closure, a zippered front pocket, a handle, and adjustable straps. It's cosmic, man! Ages 13 and up.